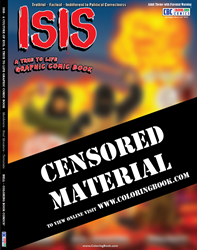 A neoclassic Comic Book on ISIS that is real, factual and accurate. The book has been referred to as a variant in the Comic Book industry, as it details through art and text this global crisis. Through Jihad - ISIS - wishes to create a worldwide Caliphate and establish a global Islamic government. This neoclassic Comic Book on ISIS is real, actual, accurate and shows the hideous reality of their radical terrorist World. The book has been referred to as a variant in the Comic Book industry. We show the truth as it exists in detail. We ask: Why and how does ISIS recruit? What will government leaders do? What will the political class do? What will leaders of faith do? What will you do should they come for you? ISIS is a real State with real consequences. "When 244 innocent citizens are knocked out of the air at 31,000 feet and plunge to the earth, the public begins to demand answers. 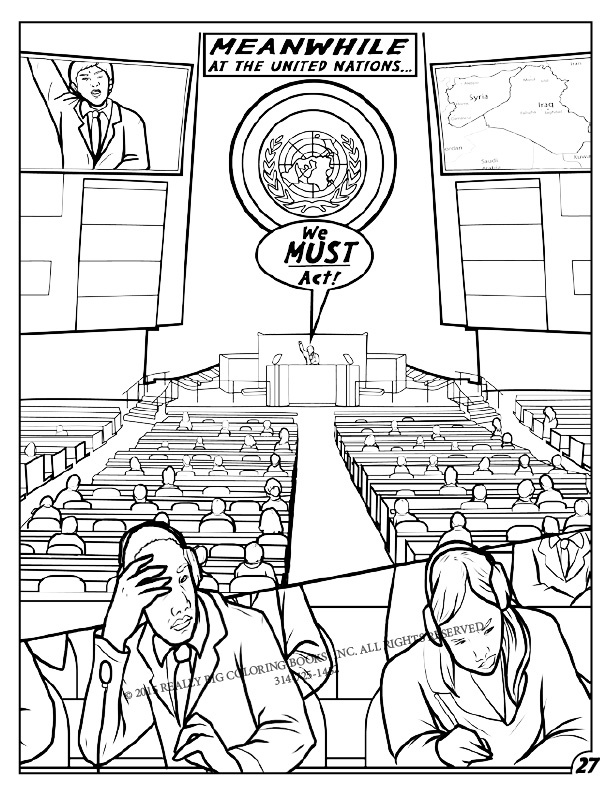 In this comic book you will find in pure black and white, some of those answers," states Wayne Bell Publisher. In addition to RBCB comic books, music products, crayons, books, paper products, graphic design, animation,coloring books, the company now offers a true to life Comic Book line. RBCB operates several divisions; retail, fundraising, internet, animation, music and creative development. Really Big Coloring Books®, Inc. (RBCB), headquartered in St. Louis, MO, is a multi-national company providing quality children’s teaching and learning tools greeting cards, comic or coloring book products for over two decades. Known for their market leading positions, the RBCB family of products are classic, colorful and unique. The company owns more than 1,200 coloring book related domain names in several countries and is a trend-setting leader in the coloring book industry. All the RBCB company products are manufactured in the U.S.A. 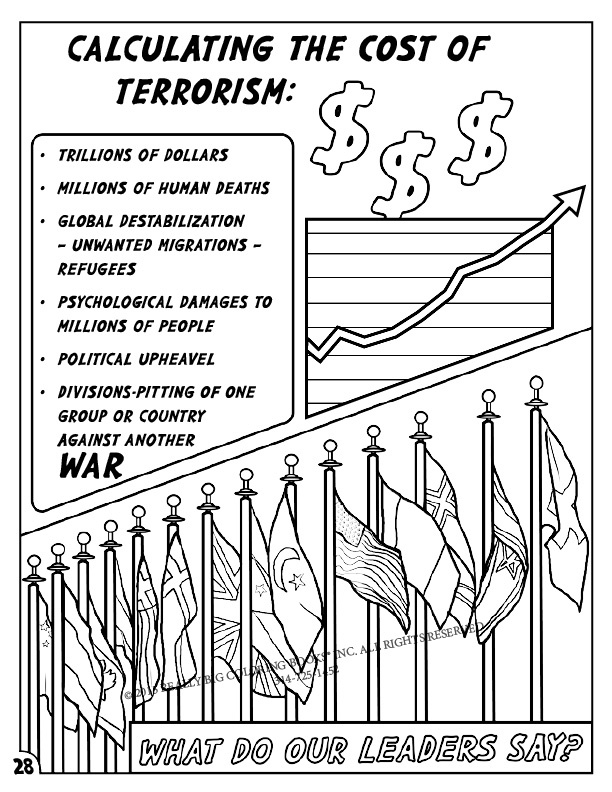 Cost of Terrorism What can you do? Censored for Public Web. United Nations - We must act now.